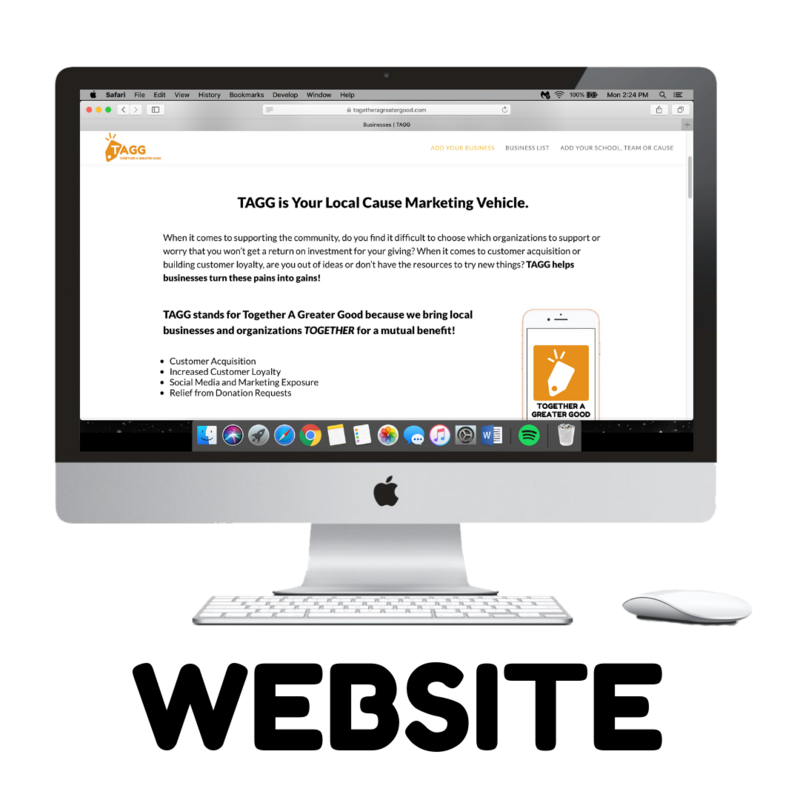 Thanks for expressing interest in TAGG’s Business Referral Program. Distribute any of the following three resources to local businesses. Once the decision maker at the business expresses interest, requests more information, or wants to join, email us with your name, the business decision maker’s name, the name of the business, and the location(s). 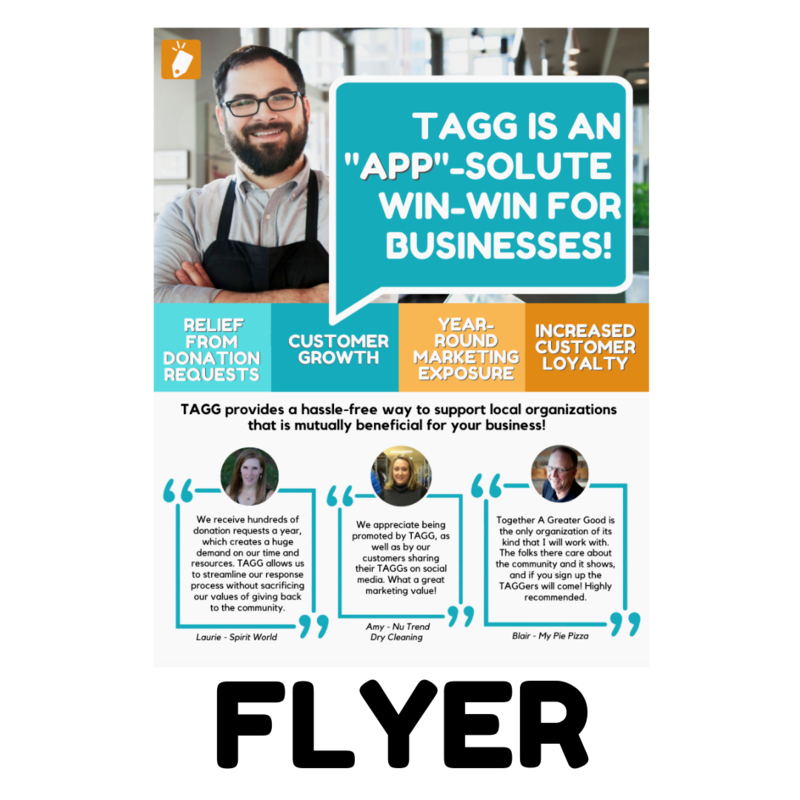 Once the business pays the TAGG fee and is officially live on the app, you will be compensated $50.